Canada is a country in the North American continent located right above the United States and is known as a highly developed country. The demand of people to travel to Canada has been steadily increasing the last few years, but most people wonder how they can get to Canada. 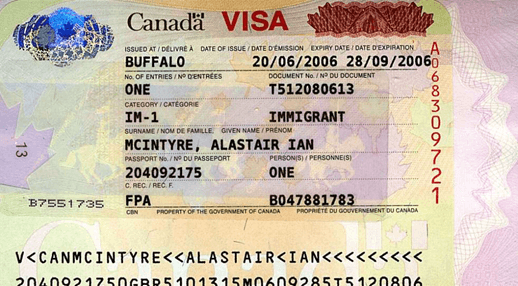 What is a Canada Visa? And a lot more information about applying/getting a visa to Canada and entering the territory of the Canada States. A Canada visa is a stamp on your passport which allows you to enter the country of Canada. It is a permission for you to travel to the country and legally be able to stay either temporarily or permanently. Getting a visa to Canada means that the Canadian Consulate or Embassy in your home country decided that you are eligible and fulfill the requirements for entry. However, once you are at the Canadian border and customs, it is up to the officers at the border to evaluate whether you are fit to enter. If you answer the Canadian Border Services Officer (BSO) questions honestly and correctly, they will allow you to enter. Otherwise, if they suspect that you are not eligible to enter, they can deny you and ask you to go back to your home country even if you have a Canada visa. Who Needs a Canadian Visa? 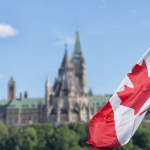 People from countries that do not have a visa exemption or Electronic Travel Authorization (eTA) agreement with Canada will need a visa to enter the country. 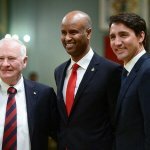 More specifically, people from around 148 countries need a visa to visit, work, or immigrate to Canada. What are the Canadaian Visa Categories? Temporary Canada Visas – allow the holder to stay in Canada for a limited amount of time for purposes of tourism, visit to family, studying, or working. Permanent Canada Visas – allow the holder to move to Canada permanently to work and be on a path to a Canadian citizenship. 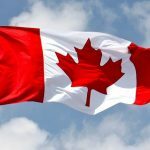 What are the Canada Visa Types? Since there are two categories of Canadian visas, each category has their own specific visas which people can get depending on whether they meet the eligibility criteria. The temporary Canada visas allow the person to stay in Canada for a specific period of time which is determined by the Canadian Consulate or the Border Services Officers (BSO). This time is usually up to 6 months. However, the temporary visa can be single entry or multiple entry visa. Single entry visa allows the person to only enter Canada once, stay for 6 months and then return to their home country. 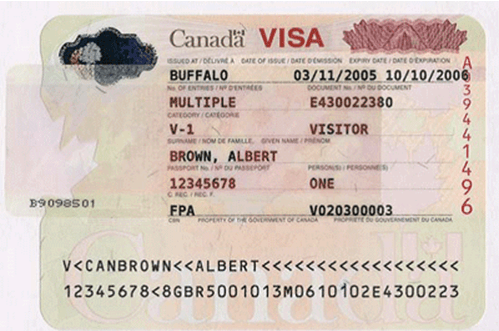 A multiple entry visa allows the person to enter Canada multiple times until their visa expires and stay temporarily. The Canada Visitor Visa or the Tourist visa allows the holder to enter Canada for the purposes of tourism in the country. The Canadian Super Visa allows parents or grandparents of Canadian citizens or Canadian Permanent Residents to visit their children or grandchildren for an extended stay. 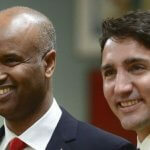 The Diplomatic and Official visa gives permission to officials and diplomats from foreign countries to enter Canada for official duties and purposes. The Courtesy visa is given to all those people who do not qualify for a Diplomatic and Official Visa but are considered of importance due to their ranks and positions. This includes for example, members of trade missions or diplomats with touristic intent. The Canada Business Visa is given to those who are travelling to Canada with business purposes as individuals or as a group of business people. This visa is given to people who fulfill all the criteria to stay temporarily in Canada and who are pregnant and want to give birth in the country. Giving birth in Canada makes the baby automatically a Canadian citizen. The Intending Organ Donors Visa is given to a person who is traveling to Canada with the purpose of donating an organ to a Canadian citizen or Permanent Resident. Facilitation Visas are given to Canadian citizens with dual nationalities who do not have a Canadian passport but have a passport of another nationality. The facilitation visa is stamped on the person’s other nationality visa due to extreme hardships of the person getting a Canadian passport. A Canada student visa is given to those who have an admission from a Canadian university to complete their studies. If you are going to Canada to study for less than 6 months, then you can only get a general visa, but for more than 6 months of studies, you will need a Student Visa. Canada temporary work visas are given to those people who have a job offer in Canada and will work for up to 6 months. To get this visa, the person must present a valid job offer letter from an employer and qualify for a temporary visa. This permit is for people who need to go to Canada for different purposes but are otherwise not admissible for a Temporary Resident Visa (TRV). This permit is issued only for the length of time that the person needs to be in Canada, for example 2 weeks for a workshop. The Canada Working Holiday Visa is given to young people from 30 countries, so they can work in Canada and travel. It is a random selection visa which means that applicants will submit their applications and wait to be randomly selected to apply for the work permit. The permanent Canada visas are visas which allow the holder to permanently settle in the country. These are otherwise known as immigrant visas and can be of different types, as follows. The visa under the Federal Skilled Worker Program (FSWP) is given to people who have professions which are required in Canada. You must check what kind of occupations Canada needs at the point you are planning to apply and obtain the necessary points. 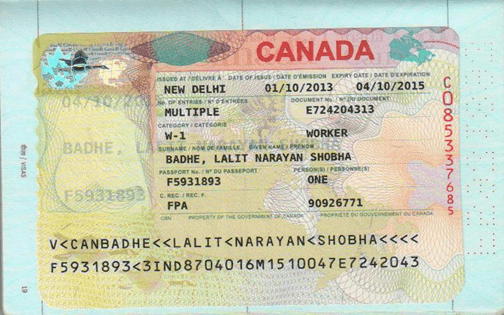 This visa is given to semi or low-skilled workers who can contribute to the Canadian economy though their work. The workers are placed in different provinces of Canada where the demand for their work is higher. The Canadian Experience Class permanent visa is given to those who have a temporary student visa or a temporary workers visa and want to switch to a permanent resident status. They either have a Canadian education or work experience and have settled into Canadian society. The Immigrant Investor Program is for people who will make investments in the Canadian economy and have a net worth of at least CAD$800,000. They must invest at least CAD$400,000 and the government will return this investment to them in 5 years without any interest. The Entrepreneur Program is for people who will be individually involved in contributing to the economy. They must have a net worth of at least CAD$300,000 and must commit to owning and managing at least one third of a Canadian business as well as create and maintain employment within 3 years of being in the country. The Self-employed Persons Program is for people who have skills in business, athletics, culture, or farming and can start their own businesses. These people must demonstrate how they will finance the business as well as their skills in those particular areas. If you have one of the occupations which are required in the Canadian province of Quebec and you are fluent in French, then you can apply for the Quebec Skilled Worker Program which will allow you to move and work permanently there. This visa allows the spouses and dependent children of Canadian citizens or Permanent Residents to immigrate to Canada permanently. This visa is given to caregivers who are qualified to take care for elderly, disabled people, or children and live in a private home in Canada. What does a Canadian Visa look like? The examples below show three types of how Canada visas look for visitors, workers, and immigrants. To travel to the US from Canada, you might be required to apply for a US visa in Canada. However, if you are a citizen of a country in the Visa Waiver Program, you are not required to apply for a US visa from Canada, but you will have to apply for ESTA instead.